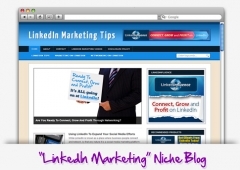 Wordpress theme and PLR articles based on in demand niches. Monetized with Amazon and Clickbank products. You CAN sell via Flippa.